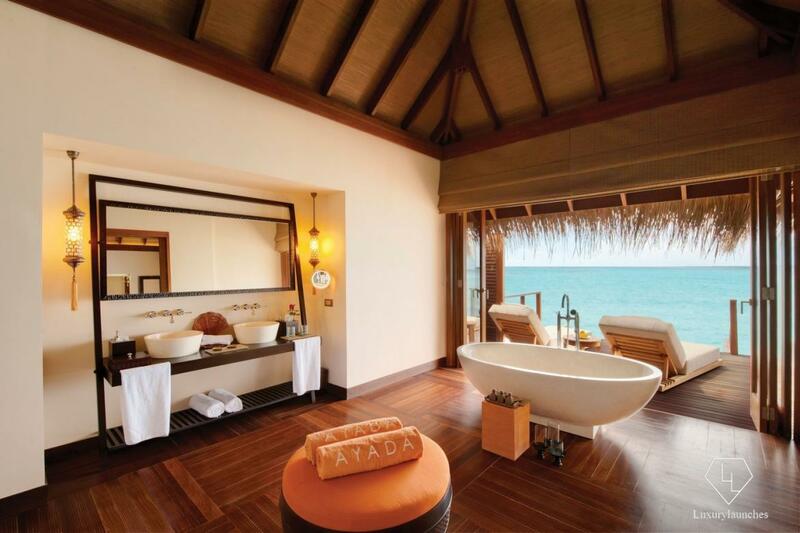 You will love – Waterbabies will love that the villas offer both lagoon access and a private plunge pool. 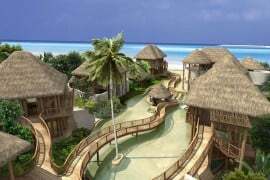 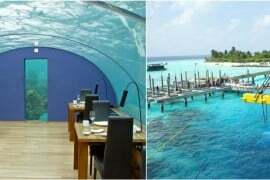 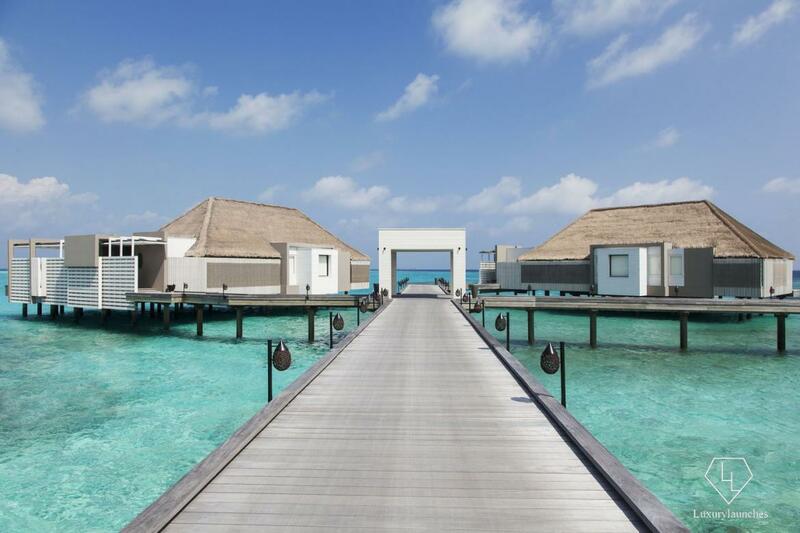 The Maldivian islands are among the best destinations in the world for a beach vacation and the Ocean Villas at the Ayada allow you access to some of the most amazing views in the area. 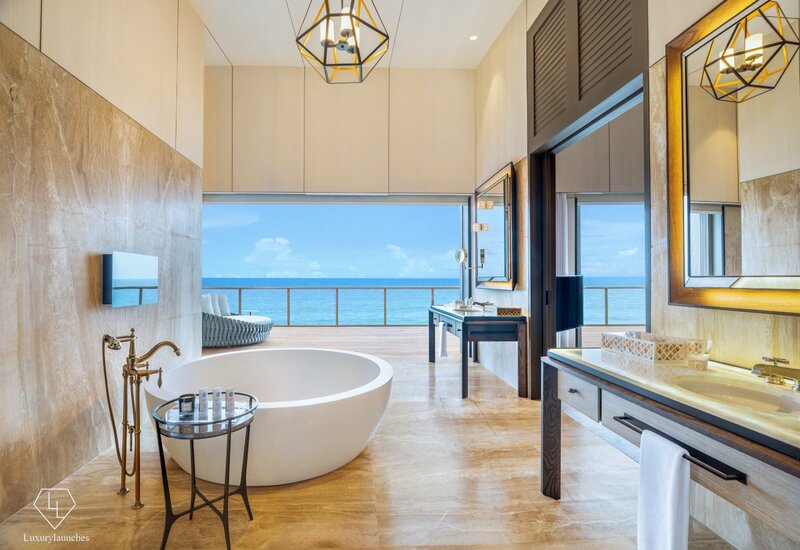 These luxe retreats are perfect for those seeking a relaxing getaway. 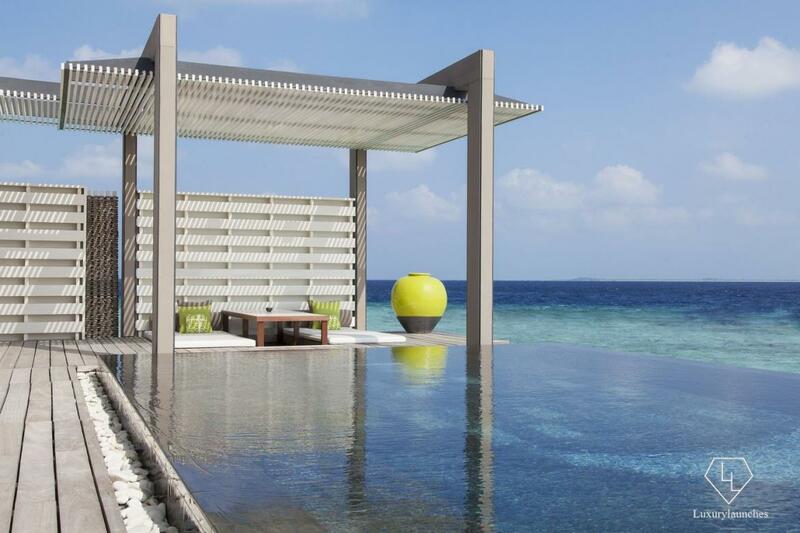 While away the days lazing in the ocean hammocks or enjoy an outdoor party with friends on the outdoor terrace. 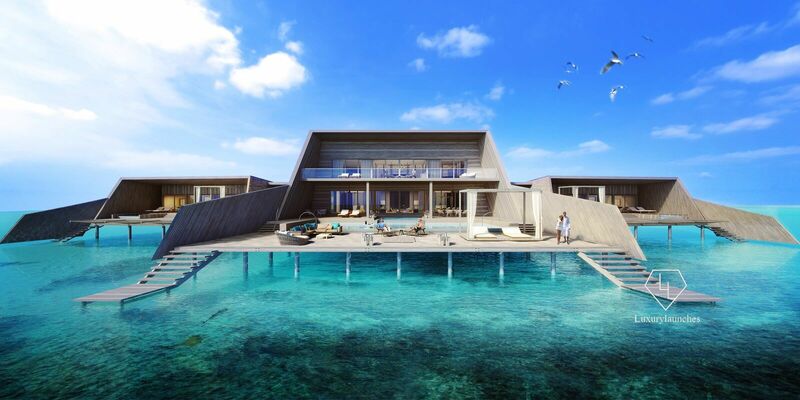 This villa offers infinite ways to relax and unwind. 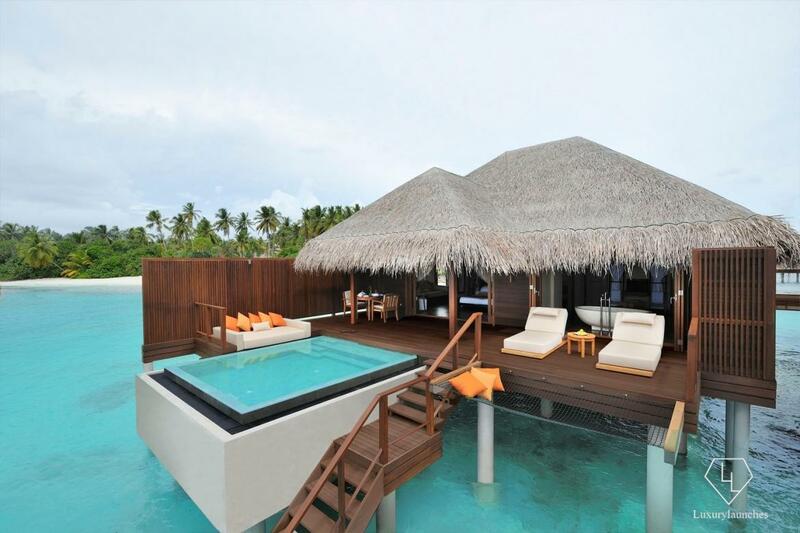 You will love – Rain showers on the deck! 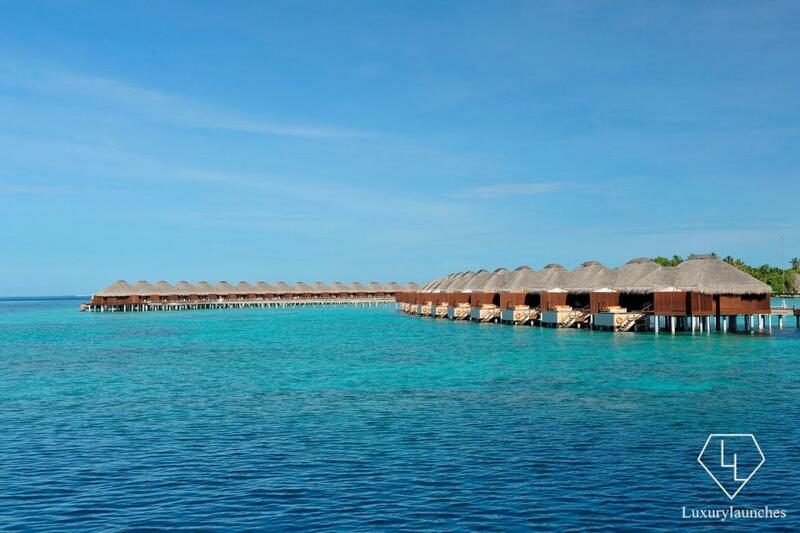 The gorgeous water villas at the Cheval Blanc Randheli offer priceless ocean views and painted sunsets every evening. 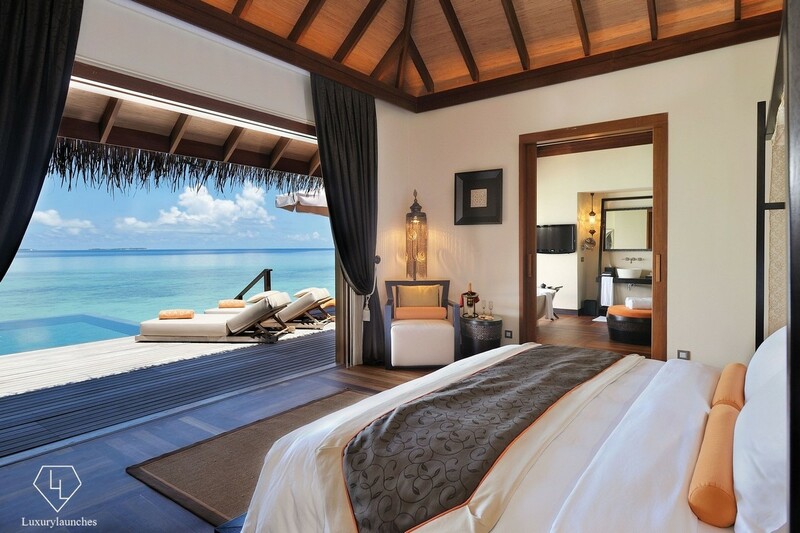 These scenic and private villas are the perfect spot for couples to relax and connect with each other. Enjoy a sensual dip in the infinity pool or be captivated by the natural coral and marine life of the region from the comfort of your own villa. 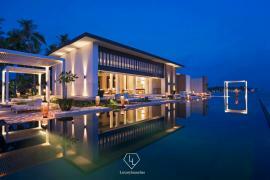 These serene and sequestered villas will put you in the mood for love. 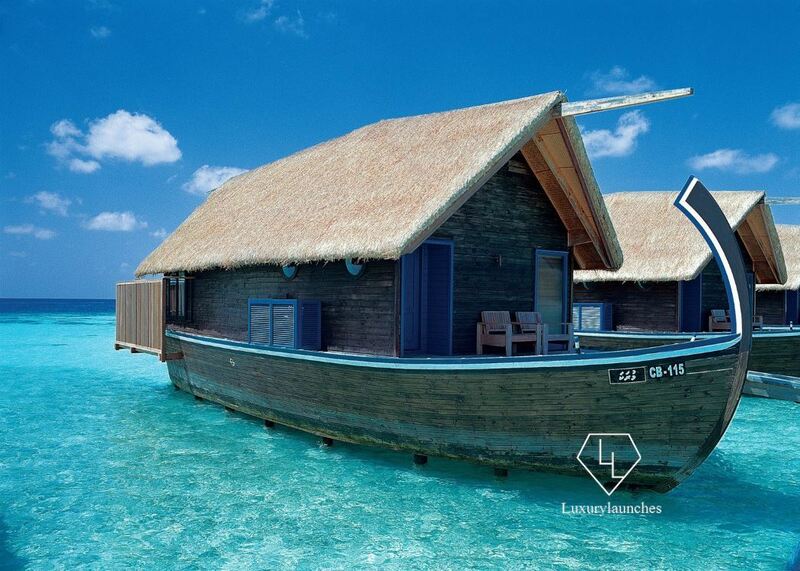 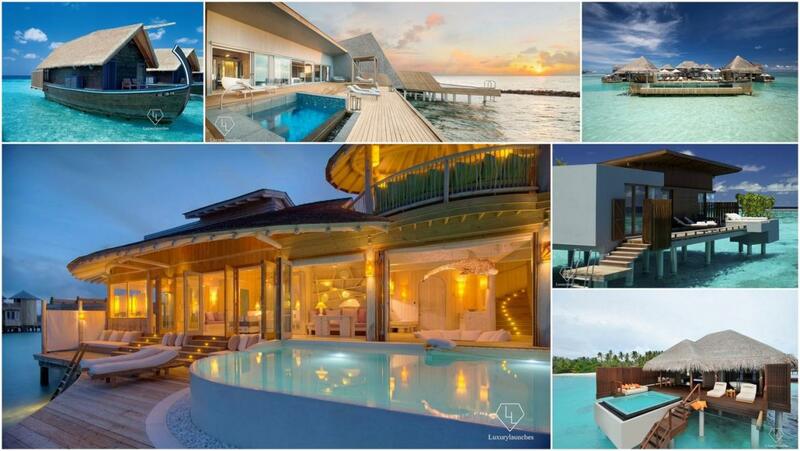 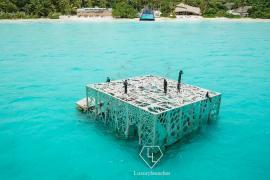 You will love – The dhoni villas are houseboats minus the sea sickness! 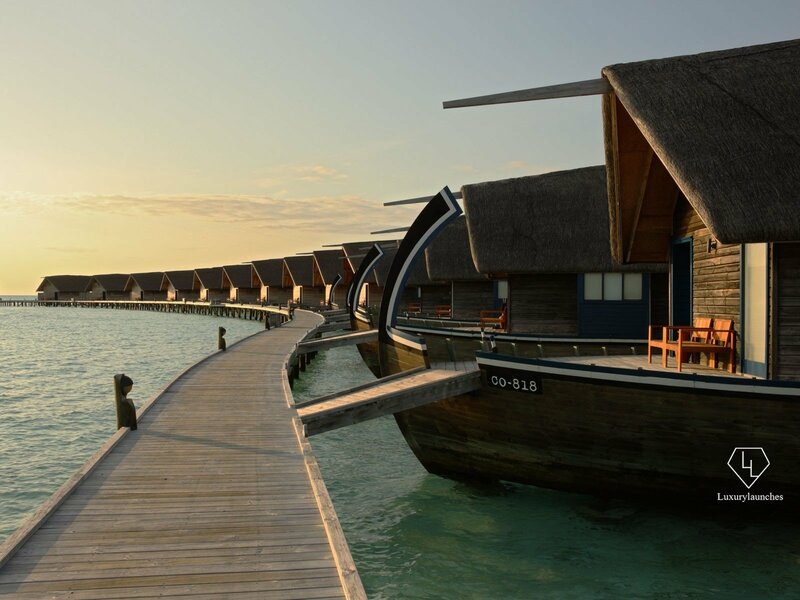 COMO offers a number of different overwater accommodation options ranging from their Dhoni Suites – which are the only suites in the Maldives that are shaped like the traditional dhoni boat – to the spacious and private COMO villas. 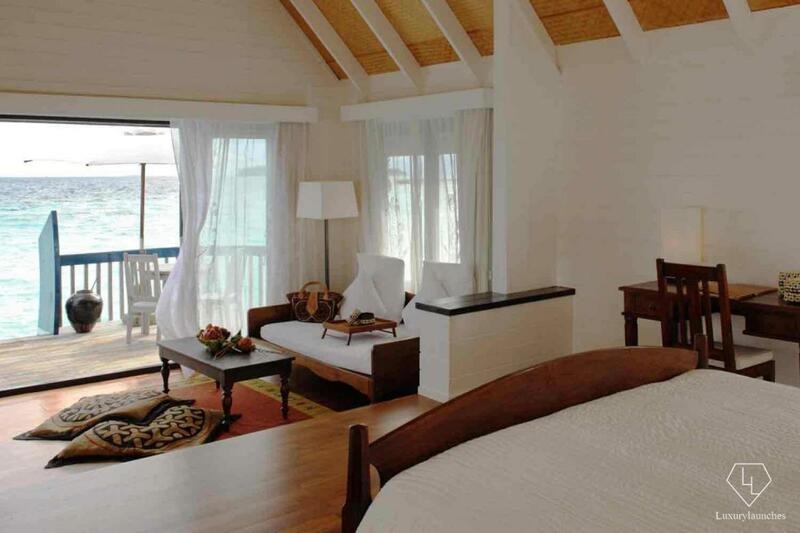 We love the Dhoni suites which have their own private terrace with lagoon access. 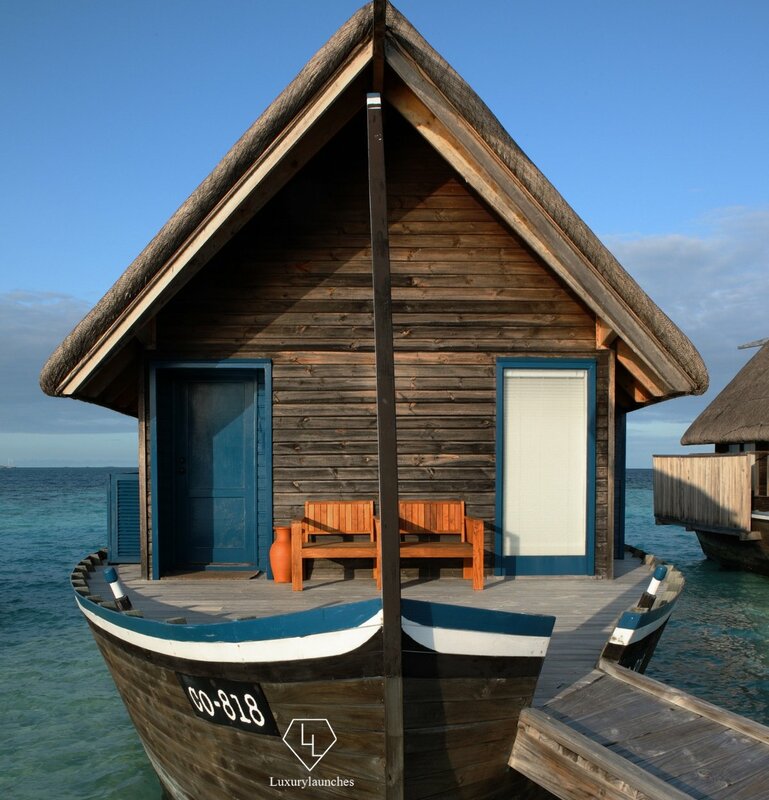 These suites combine the novelty of living on the dhoni boat with all the amenities of a private villa. You will love – A butler who promises round-the-clock customized services. 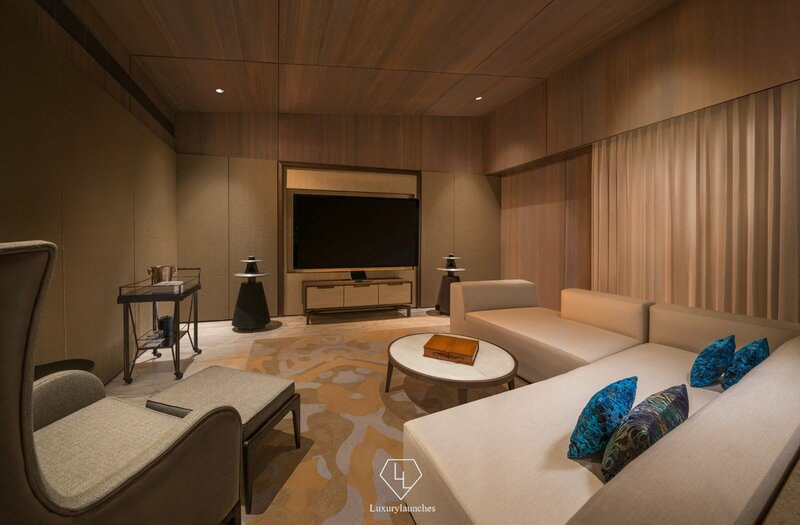 Those in the know will always stay at the John Jacob Astor Estate at The St. Regis Maldives Resort which is one of the largest overwater villas in the Maldives at 1,540 square meters. 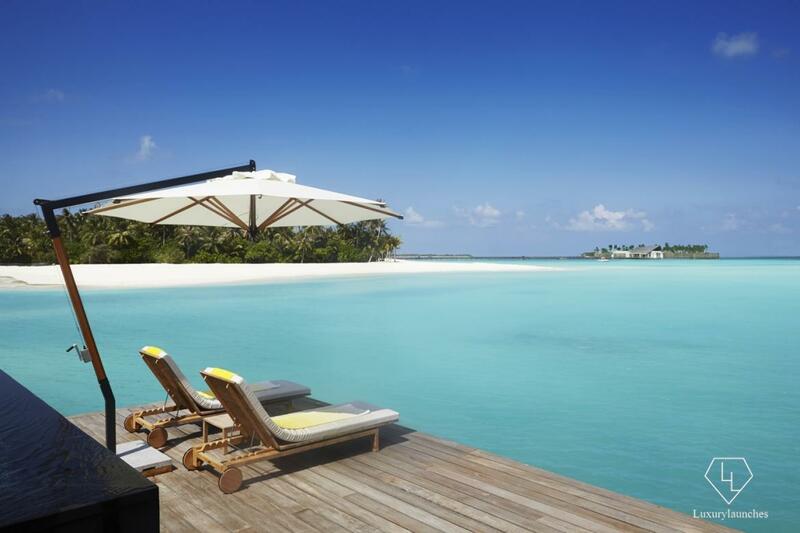 This is a pricey option for those who want nothing but the best. 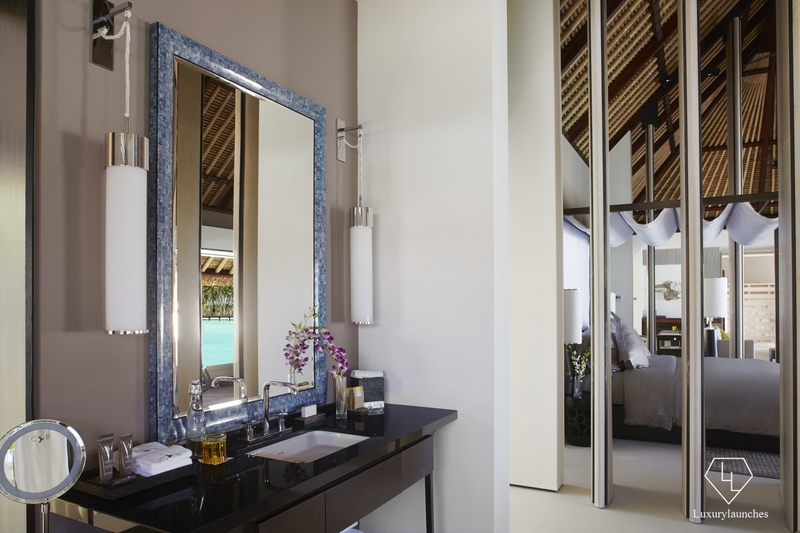 Enjoy plenty of treatments in the villa’s three spa rooms or get personalized activity recommendations from your dedicated butler who in on-call 24/7. 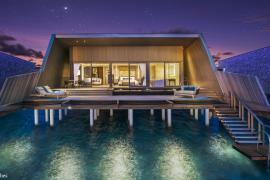 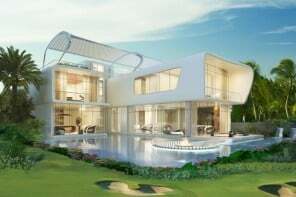 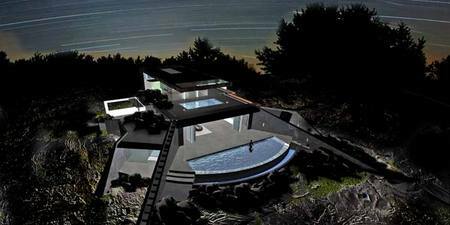 This villa is really more of an overwater McMansion.